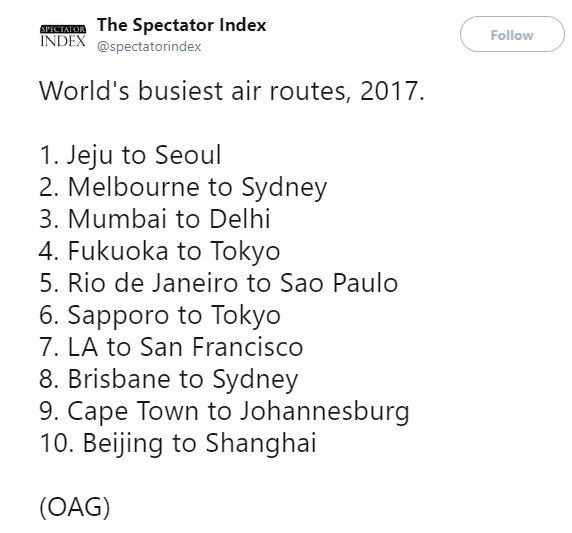 This list of Busiest Air routes in the world 2018 was compiled by Spectator Index. It is only Cape Town to Johannesburg which has been featured on the list. Planes make 34,000 trips on this route per year. A total of 3.7 million passengers are transported every year on this air route. 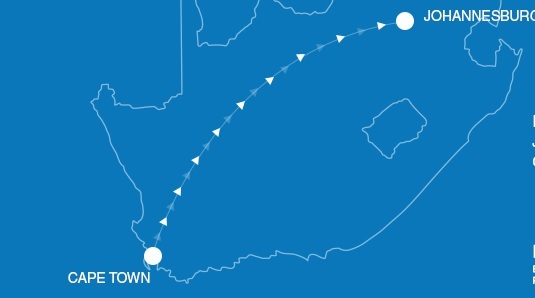 There are low cost carriers on this route such as Kulula Airlines, FlySafair and Mango. South African Airways and British Airways Comair provide full-service carriers on numerous flights.